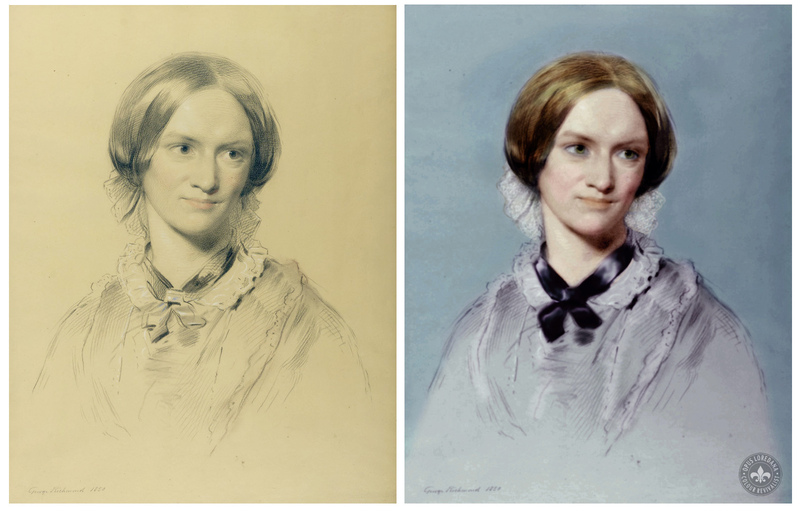 This entry was posted in Art, Britain, Colorization, Colourisation, Literature, Opus Loredana, United Kingdom, Women, Women in Literature, Women writers and tagged Anne Brontë, Charles Darwin, Charlotte Brontë, Edward VII, Elizabeth Fry, Elizabeth Gaskell, Emily Brontë, George Richmond, Gertrude Stein, Jane Eyre, John Ruskin, Opus Loredana, The Life of Charlotte Brontë, William Blake. Bookmark the permalink. If only we had photos.